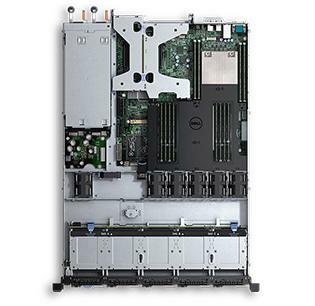 Speed time to production and drive better ROIby automating OS deployment, server configuration and updates with the integrated Dell Remote Access Controller 8 (iDRAC8) with Lifecycle Controller. Control data center availability more effectivelyby monitoring and managing the health and availability of Dell PowerEdge servers anytime, anywhere through OpenManage Mobile and a handheld device. Harness your energy budget with energy-efficient processors, memory and power supplies. Fresh Air 2.0 configurations allow you to operate confidently at extended temperatures without the need for chilled air.